Meeting the SSP Alliance Corey Goode A Very Cosmic Story. Di Divine Cosmos. I was guided to a floor that looked similar to one that I had seen before. There were a lot of meeting rooms as well as one large elevator that was at the far end of the floor. Gonzales and I were taken into a conference room. A handful of people who were sitting around a conference table all stood up at once. As we walked in, I scanned the room to see some of the SSP Alliance members who I had met with previously. They seemed very nervous to meet Gonzales and me. I then glanced back at the far end of the table, and was shocked to see Sigmund sitting down and smirking at me! 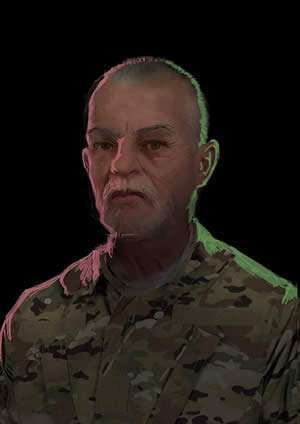 [DW: Sigmund was a high-ranking Air Force colonel who was supposed to be a key figure as the MIC SSP was disclosed to humanity in an epic surprise. 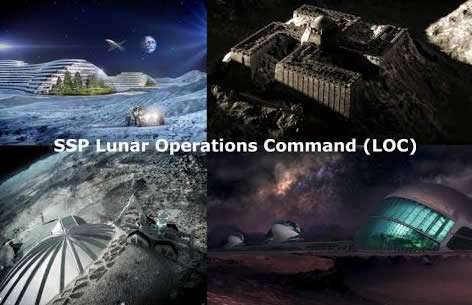 We would suddenly find out that we already had interplanetary-capable craft, and had found “Ancient Builder Race” ruins throughout the solar system. Part of the “reveal” was supposed to include the idea that there were no actual living ETs found in our solar system — only ancient ruins. This surprise was intended to throw off any ‘heat’ that the Deep State might be getting as the Alliance moved to finally defeat them. Sigmund abducted and tortured Corey twelve different times, and used him to “out” members of the SSP Alliance. However, hair samples revealed trace elements Sigmund knew had to be from off-planet locations. He investigated thoroughly and eventually discovered that Corey was telling the truth about the Navy / Interstellar SSP. Sigmund stood up and began to shout at me. I sat there while Gonzales gave a detailed and classified report about his time with the Mayans. He also described a series of other beings he visited with the Mayans. I was then asked to give a report of the recent meetings with the Sphere Being Alliance, the Anshar and the Super Federation. As I gave the report, Sigmund sounded out with his disbelief as soon as the Blue Avians were mentioned. He went on to say that he has seen all kinds of technologies that could be used to make everyone see these things. He then asserted that he thought the “Nordics” were screwing around with our heads again. I was about to ask him what he meant by “again” when the meeting was called back to get on point. [DW: The MIC SSP people do know about the Nordics or “Tall Whites.” They were also taught that these beings can project many other forms, like advanced holograms. I finished my reports and answered about a dozen questions from those around the table. One of the men at the table began to talk about the timeframe that the MIC SSP planned to disclose certain info to the public. The scenario of using a war with NOKO (North Korea) to disclose hidden technologies was discussed, as I have mentioned before. We also talked about the mainstream media-sanctioned UFO disclosure effort by the former guitarist of Blink-182, Tom Delonge. I asked them why Delonge was not working with anyone in the Ufology field. He went on to say that Ufology had been infiltrated by operatives of the MIC, who had been feeding the experts disinfo for decades. He went on to state that he was personally involved in pulling a number of psy-ops on this community over the years. I interjected, “I haven’t seen widespread evidence of this. Most of the people I have delt with are eager to be of service. He ignored me and stated, “Once the cat is out of the bag about the widespread satanism and human trafficking, ANYONE associated with Lucifer or Satan will be running and hiding. One of the men commented that after it all breaks, he expected that a huge number of people will rush back to conservative churches and belief systems from their childhoods. Gonzales spoke up in disagreement. Sigmund once again seemed to ignore what was being said. 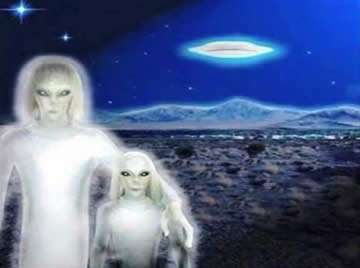 He stated that these communities had been gamed so many times that there was no way for them to ever put aside their “UFO Religions and Professional Egos,” and actually come together. Yet, this type of organization would be exactly what we would need for us to properly demand disclosure. He went on to say that the DIA and Air Force determined that they needed to disclose certain information in a way that couldn’t be directly tied to the field of Ufology. They planned on making this a nuts-and-bolts type of disclosure that would even leave out the most pragmatic UFO researchers. We moved on to a few other topics, including a “flyover tour” we would receive of the LOC and the lava-tube passages. This would involve traveling to another facility called “LOC Bravo“. The person leading the meeting then brought our attention to a large smart-glass pad monitor that was lowering from the ceiling. Sigmund stood up and said “I have a treat for the both of you.” He walked up to the monitor and stared at it while talking. He said they had been monitoring what appeared to be a derelict space craft that was headed towards our Sol System. 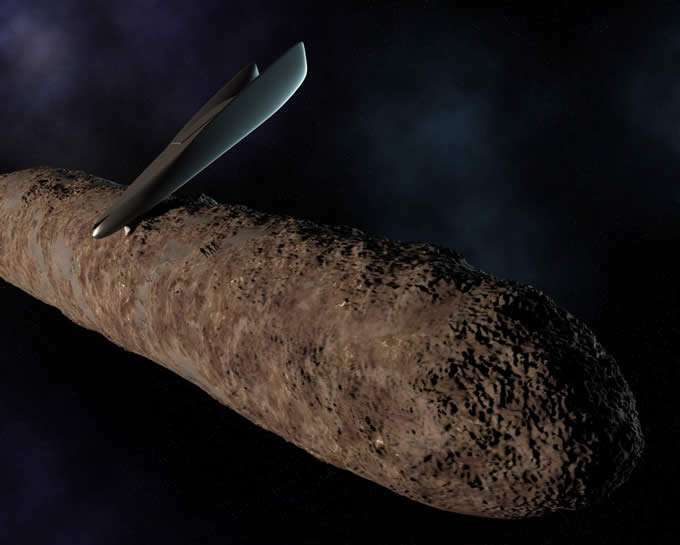 This would prove to be the same cigar-shaped “asteroid” that NASA and the mainstream media dubbed Oumuamua, and had publicized widely in this same timeframe. The ship was monitored as it approached the area where the Outer Barrier had been erected by the Sphere Being Alliance. The SSP expected the craft to crash into the barrier. They were shocked when it passed directly through that region with no ill effect on the craft whatsoever. It turns out that the barrier had already been depleted by then, but this was the first time the SSP Alliance had ever realized what had happened. Sigmund puffed up proudly and stated, “I led an expedition to see who this craft belonged to. Suddenly we started seeing all sorts of readings and telemetry on the monitor. I could also hear what sounded like an old NASA radio transmission. There were beeps along with a pilot calling in positions of his craft, as well as the one he was trying to dock with. That lasted for about five minutes as I saw the two craft spiralling closer and closer together. 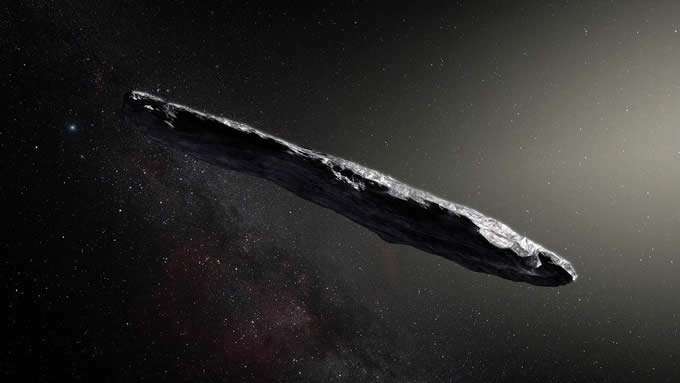 As the pilot matched the spin of the object they were approaching, you could see a long cigar-shaped structure that had shiny patches of what looked like ice on the outside. It was obviously made of stone, and looked as if it had been through many meteor showers and collisions. The video broke to a scene where a few people who were suited up in space suits were pushing themselves through what looked like a bored-out hole going down into the rock. The shuttle had docked with the mystery vessel close to what looked like a metallic oval dome, which was sitting about a third of the way down its fuselage. It appeared to have been breached many times, and was full of holes and dents from obvious impacts. In the next scene, you could see the men in a weightless environment, with lights on their chests, helmets and the tops of their wrists. They split up and were talking to each other through the communications systems in their suits. One of them was chipping samples out of the icy residue on the floors and walls. This same frozen, organic sludge was on the outside of the ship as well. It appeared like foamy, dirty lake water that had been frozen. The ship was obviously very ancient. It had been boarded and stripped of technology many times by unknown races. Sigmund stated that when they tested the sludge later, they determined that it was partly the remains of the original crew. There were many panels removed from the walls, ceilings and floors, leaving empty compartments where technology was once located. I watched as the man with the camera pushed himself through a few open panels in the floors and ceilings to get to the floor of the craft that he was being called to. He entered into a room that looked like it had recently been unsealed. The panel was wedged against the wall, almost blocking the door. The video scene then went to two men taking video and photos of some beings that were located after morgue-like drawers had been pulled open. On the table was the frozen-stiff body of a strange-looking being. It looked somewhat like a pterodactyl, with pale blue skin that was almost white. They were pulling open other drawers and seeing a few other types of beings. One of these beings looked orange or peach-colored, and appeared to be a mammal at first. I later found out that this was an aquatic being of some sort, which seemed related to a squid or octopus. It was about 10 feet tall, and had tentacles as arms and legs. Three long fingers and toes extended off of the tentacles. Tiny, almost invisible suction cups were located on the underarm area and the hands. This confirmed that it was one of the original crew. They found that a great deal of the ship’s common areas had once been pressurized with water. [DW: In light of the potential identity of the Ancient Builder Race, as we will discuss, it is interesting to note the similarities between these beings and the Golden Triangle beings. They continued through the process of bagging up the bodies and transporting them to their ship. As they did this, the bodies started coming apart and floating around the cabin they were in. One of the men grabbed a piece of paneling and used it like a spatula to scrape off the rest of the remains and load them into bags. Sigmund looked over at us both and responded. “Well, we can only date the organics back to a little under a billion years ago. We tracked its trajectory to a star system not too far away. Would This Be The Ancient Builder Race? Sigmund smiled and slowly pointed his index finger to the tip of his nose. This indicated Gonzales was correct. Gonzales started asking questions faster than Sigmund could answer. Sigmund put his hand up to indicate that Gonzales should stop talking, which he did. He then continued on with the video. At this point, someone excitedly called out that they had found something else. The camera showed them entering into a room where there were two types of writing and glyphs on the walls and ceilings. There were several rooms like this. What was so exciting is that this was the first time we had ever seen or had access to any type of writing from the Ancient Builder Race. The SSP was well aware that in every other Ancient Builder Race site we had ever found, any written inscriptions had been scratched out. It was as if some later interloping ET race had wanted to destroy any ability for us to reconstruct their history. There were some very intricate hieroglyph-looking characters, along with a large amount of glyphs on the wall that were made of long lines, dashes and dots. Sigmund stated that there were similar ancient languages that they had become aware of on Earth, as well as a few other stars in our local stellar neighborhood. He said that they were able to decipher the glyphs fairly easily. They later determined that the hieroglyphs were a mixture of a language and a hyper-dimensional form of mathematics. They were able to interpret most of the messages from the craft, and have sent the results to a few of their research groups. The conversation then headed into classified operational information that I am responsible for keeping to myself, for now. Once we finished the meeting, Sigmund stood up and said, “Now let’s take a trip to the LOC Bravo location. Gonzales and I both answered yes, and arose from the table. We were taken to the larger elevator on that floor of the LOC, and then rode it down. We came out into an open area that was another bay for spacecraft. I saw that we were under the same floor in the lava cavern that we had flown down into when we entered the crater hole during our arrival. We were taken to a larger shuttle craft that then flew out of the bay. We soon found ourselves flying down a long lava tube at a great rate of speed. We came out into another large cavern area where I saw human-made structures on the floor of the cavern. They were built around an opening. 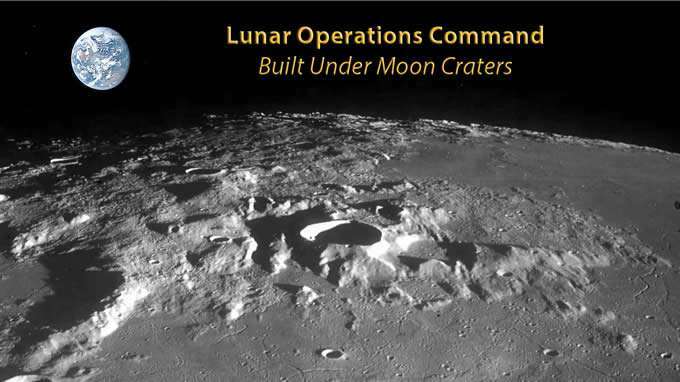 We first flew up to a small facility that looked like it may rise up to the lunar surface, with structures built above ground like the LOC. I saw men and a few women walking around this facility in both Air Force uniforms as well as NASA clothing. We were greeted by a few Ph.D. types who were very excited to see us. We were put in the same environmental suits that I had worn in my prior SSP service. We then went through a bit of a training session with the Ph.D. types on using the equipment, which was very basic. We traveled back to the bay where we loaded up on the same shuttle and flew down to the cavern floor. At this point, we passed through the dug-out hole that opened into a cavernous area. It was the Great Hall. This area was so tremendous in size that both Gonzales’ and my minds were blown. There were all sorts of HUGE and ancient machines with tractor tracks on them. 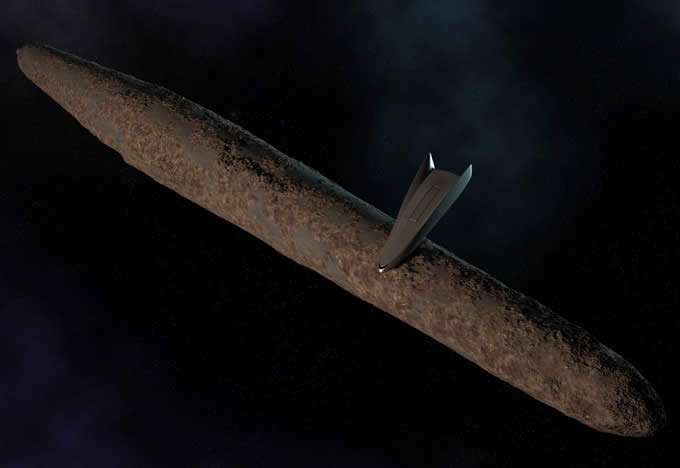 There were also long beams made out of a grey crystalline material. The beams were lying broken and shattered on the ground. There were large circular tunnels heading out in multiple directions from this one area. I told Gonzales that I had never seen anything like it. I looked at Gonzales, who looked as puzzled as I was. I asked if it was on one of my previous 20 and backs, to which Sigmund nodded a yes. I was then taken on an amazing tour, which I have apparently been on before. We walked down a few flights of stairs into an area that had a train system. We boarded the train and toured the giant ancient facilities for nearly five hours. I would love to say more about what I saw at this time, but for various reasons I was asked not to report on it. All I can say is that it was very amazing. If we do indeed get to see these facilities in the future, it will be an incredibly powerful turning point for humanity as we know it. Once we were done, we were taken to a mess hall, and allowed to eat and shower. We were then taken back to the LOC, where we both boarded separate dart craft and were flown back to our homes. There is a true wealth of information here for us to contemplate, analyze and speculate on. Overall, what we are seeing is a decisive shift for the positive in the war for freedom, both here on earth as well as in our solar system. Some of the timelines Corey was warned about, as little as six months ago, indicated we could end up in a Draco-dominated slave society. We were urged to step up, support each other and walk in our spiritual truth. I personally heeded these warnings and got much more involved in the battle. Therefore, I was greatly relieved to hear these updates. It now definitely appears that we are on a very positive timeline, if not the “Optimal Temporal Reality” Corey had been briefed on before. 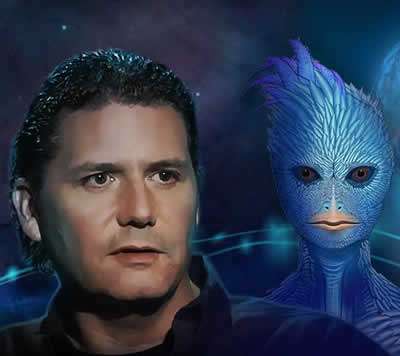 I admit that I am disappointed I did not get to meet the Blue Avians in person before they departed from our reality. Up until now, my only interaction with the world Corey has experienced is through dreams and related visionary states of consciousness. There have been multiple ways in which I have used these methods to validate what Corey is saying to my own satisfaction. This includes direct meetings with the Anshar and other such beings in dreams. You can imagine that for some time now, I have struggled with believing Corey on the one hand, and wishing I could see these places for myself on the other. Each time I have asked about this, the answer that came back was that I had not yet developed a strong-enough spiritual and meditative alignment to be ready. This does make sense, as the Law of One requirements for the highest levels of spirituality are extremely stringent. Corey did not suffer from this same “free will clause” in the Law of One sense, since he had already consciously remembered his work in the SSP. Part of what I have decided to do in the new book is to frankly outline the guidance I have received as to what I would need to do to be ready for contact. It hit me after Corey’s three-day trip to the Inner Earth, and the messages he brought back for me, that the guidelines I was given were truly archetypal. We can all benefit from putting these same concepts to practice. I am in the final stages of making a series of rather sweeping changes in my life that should help to create far more peace and tranquility. This includes the distinct possibility of moving, even though I have been very happy with where I was. I hope to finally nail this down very soon. It is very interesting to think about the perspective of beings who live in these higher densities or dimensions. In some ways it is very foreign to us. They live in a realm of unconditional love. The kind of hate we routinely encounter here, such as in social media, doesn’t even exist as a thought — at least in the positive groups. I was told that I have a very well-developed intellectual capacity, but that I am only half as effective as I would be if I started applying it spiritually. I have all the tools needed to be much more adept in this area. I simply am not applying them to my everyday life. The Law of One had said “the distortion of busy-ness” can be damaging to any type of Higher Self contact — and I have been very, very busy this past year. All of us can take time to relax, slow down, breathe and center into the core of our being. You may not want to believe in Ascension, or that any of what you just read is real. I get that, and am not threatened by it. Even if you can only interface with this as science fiction — though I do believe Corey is telling the truth — you can still benefit from it. All of us must journey through the passage known as death. No one has found a workaround for that… at least not yet. Ascension is very different than death. It is a spontaneous evolution — a rebirth. This doesn’t just happen to us. It has to be earned… through diligent effort and focus. However, the term “effort” can be misleading, as a major part of the requirement is simply being relaxed, happy and forgiving of yourself and others. Many spiritual traditions have suggested that Earth is a school, and if we have learned the lesson, we move on to greater levels. Ascension is just another meditation on a similar concept — but without the aspect of physical death involved. I believe the information on being overly intellectual in my focus applies to just about all of us who are interested in this field. So often I have seen comments railing about how there may be no “New Information” in a given post. This is a great example of over-intellectualizing. The Ageless Wisdom taught in the Law of One and so many other texts is always with you, in your heart. You then meditate on yourself as a projection of that same Awareness. This is best done in beautiful nature settings. The Law of One did say a “sylvan atmosphere” — meaning a home surrounded by trees — is the best place to live for this type of work. Tibetan monks who meditated on Empty Awareness for 13 years, and were able to have every thought be a loving thought, activated Rainbow Body. This is much more difficult and advanced than the fourth-density Ascension we are heading into, but it is ever possible. I hope these concepts can help you start making happier and more loving choices today. The payoff could be beyond your wildest imagination. The personal struggles with the “fight to the death against bureaucracy” that I mentioned on Jimmy’s show reached a peak right around the time we were releasing this data. I can only laugh when I think about how incredibly hard it was to get this done — particularly before the end of yesterday. This type of spiritual interference is called “negative greeting” in the Law of One. There were incredible forces trying to stop this from happening — almost unlike any I’ve ever seen in my life. And look at what has happened to Corey and Emery. Thankfully, that whole conglomerate of issues appears to have resolved, just between the time of the radio show and the final publication of this article. We have a growing team that helps make these updates possible. We don’t want to end this article without paying them all a big thank you. Charels Pemberton, Dorothy August, Daniel Gish, Arthur Herring, Jacqueline Gan-Glatz, Jason Parsley, Rene McCann, René Armenta, Sam Ritchie, Simon Esler, Larissa Stamirowski, Vashta Nerada, Steve Cefalo, Bryon Worthen. SBA would also like to give special thanks to Lidia for your incredible support. Additionally, we are grateful to William Tompkins, Corey Goode, Emery Smith, Pete Peterson and other insiders who have come forward and risked their lives for disclosure. And Thank You for helping support this mission by spreading the word and sharing this with like-minded friends and family members! Since some have asked about the original 26-page document I got from Corey, I will say that I only made very minor changes. This included breaking up a few long sentences, fixing a few spelling mistakes, adding more paragraph spacings and creating sub-headings. Corey did a really great job with this. He was very specific on not wanting me to add to his own writings except for basic editing, and I did not.